The most challenging of years yielded a great harvest, and a magnificent wine. Frost in September, just as our Malbec was in budbreak. Then a fierce Zonda wind in early November, just as the vineyard was flowering. The result? Yields low, BUT quality high. 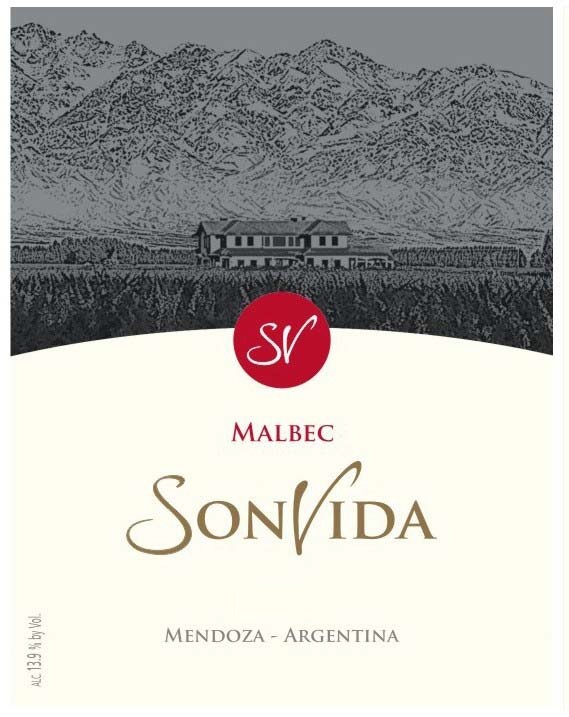 SonVida Malbec 2013 celebrates intense fruit, plum, blackberry, even dark chocolate notes, with the optimal acidity and smooth tannins that are so typical of the award-winning Altamira district in the Uco Valley of Mendoza. Above all, this latest Malbec from the Alegira vineyard boasts rare balance - a hint of the Old World in the best of the New World. "Sonia and David Smith, a British couple that settled in Mendoza, began producing wine in 2007 in Altamira, in the Uco Valley. Their 2013 shows the most refreshing and fruity side of malbec, the crisp red fruit flavor and violet notes lifted by its effusive energy. Firm acidity and prickly tannins suggest a match with venison."